He lost his faith in humans and came back to life as a Dolphin. 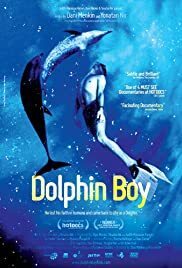 We all know the Power of Dolphins and how majestic they are, but this film was the most moving I have watched in a very long time. The love, time, attention and total devotion from his father, the sheer determination he wanted his boy back was, incredible. The end result was so uplifting, it was simply, absolutely wonderfully fabulous.